I decided to try my hand at this acetone vapor finishing method of making 3D printed parts smoother. 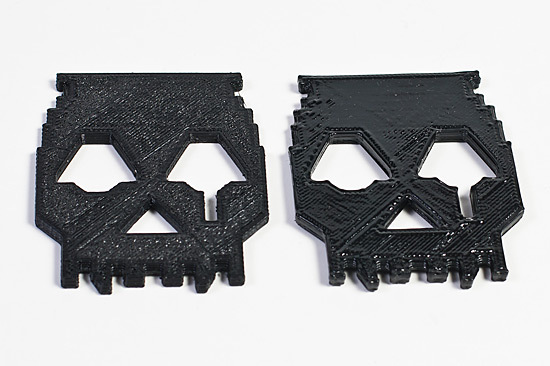 If you’ve seen 3D printed parts from a “fused filament modeling” printer, you know that there are tiny ridges in the prints. 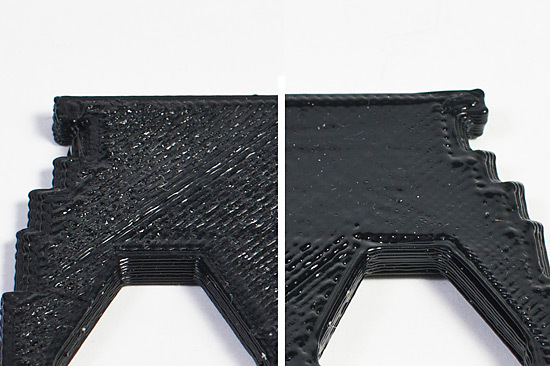 You can print at different layer heights for finer layers (and smaller ridges) but that increases your print time. As you might be able to see in the image above, I placed a large glass jar on the print bed of my RepRap and cranked the heat up to 110° F. I had maybe 2mm of acetone in the jar. (2mm may not have been enough.) 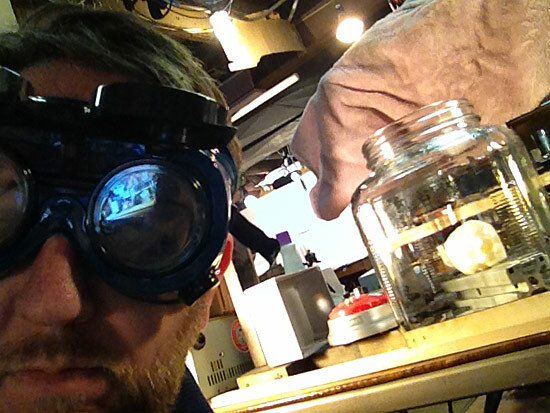 I waited until I could see the vapor cloud on the sides of the jar and then (with gloves on) placed the prints inside. 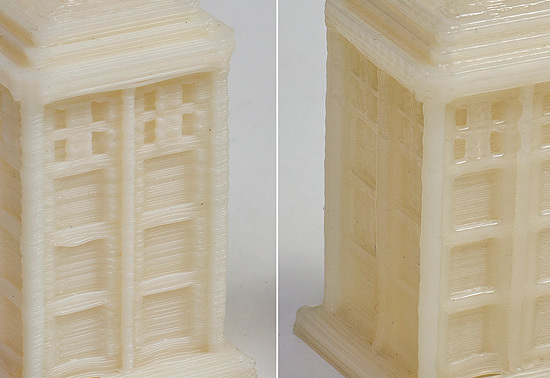 Another one… the TARDIS on the left shows the ridges while the right one is smoother. 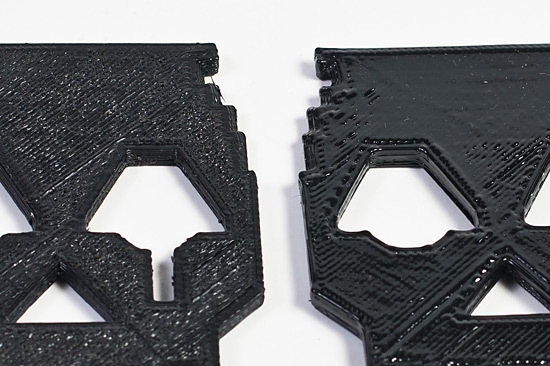 Note that the smoothing worked much better on the outer edges, and not as much on the inset parts of the print. It sure does make your parts shiny, though! I’m sure I’ll keep experimenting with this technique, and hopefully start to improve it. 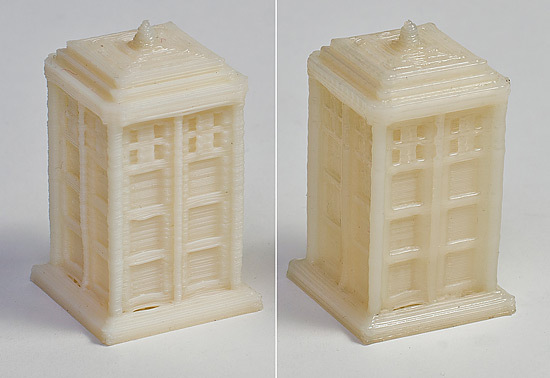 If you feel like seeing the original full-size photos, check the Skulls and TARDIS on Flickr.